The Junior Minstrels present Honk! JR. Adapted for young performers, and with a score by George Stiles and Anthony Drewe (Mary Poppins), Honk! JR. is a heartwarming celebration of being different that is sure to delight audiences of all ages with its sparkling wit, unique charm and memorable score. It is based on Hans Christian Anderson’s “The Ugly Duckling.” Witty and hilarious, but also deeply moving, Honk! JR. will treat you to equal amounts of laughter and tears. Free; suggested donation $20 / family. The Boreas Wind Quintet is a Boston based chamber ensemble formed in 2017. The group is coached by hornist Eli Epstein, and in the past has been coached by Jean Rife and James Sommerville of the Boston Symphony. Since their formation, the Boreas Wind Quintet has played in numerous community events such as the “Community for All” Chamber Music Program at the Walnut Street Synagogue. As of this year, the Boreas Wind Quintet was selected as one of of the New England Conservatory Honors Chamber Ensembles. In their off time, the members of the ensemble enjoy long walks on the beach, watching the sunset, and going to Five Guys for a delicious meal. A house concert at the home of the Simpsons featuring Ensemble Lyrae. 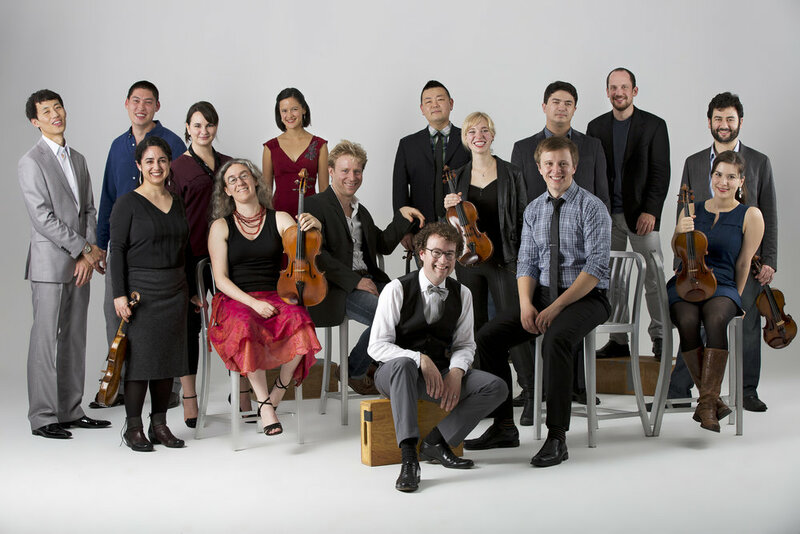 Inspired by the natural beauty and brilliance of the constellation Lyra, Ensemble Lyrae brings together five uniquely and highly talented musicians. While each shines as a soloist, together, these women form deep connections in performing duets, trios, and quartets. The pianist and four vocalists of Ensemble Lyrae seek to illuminate musical works often unknown or under-played. They also premiere cutting-edge pieces written specifically for the Ensemble and their remarkable sound. Whether performing in a spacious concert hall or a more intimate salon-style setting at home, these captivating Boston-based musicians enliven the audience's senses, engage their imaginations, and invite them to live in a world of timeless beautiful sound. THIS EVENT IS SOLD OUT. But please check out our remaining three performances of the season. Pippin, with the Norway Pond Festival Singers and many guests. Guitar, Saxophone, and Cello, featuring favorite John Muratore. The annual Hancock Family Christmas Concert will feature the Norway Pond Festival Singers, the ConVal Select Choir, the Junior Minstrels, the Hancock Village Bell Ringers, and bass-baritone Mark Andrew Cleveland as King Wenceslas..
A distilled contingent of Boston’s leading string orchestra A Far Cry. Saturday, May 12th -Junior Minstrels Present "Joseph and the Amazing Technicolor Dreamcoat"
4 pm at the Hancock Meeting House. 4 pm at the Hancock Meeting House. Tickets are $20 at the door (students free), or purchase a season ticket here. "...one of the foremost pianists of the younger generation." Tony Yike Yang returns to Norway Pond after earning a semi-finalist position at the 2017 Van Cliburn Piano Competition. Tickets are no longer available online, but about 50 tickets will be for sale at the door. New England's professional male vocal chamber ensemble; delivering impassioned interpretation of men's music spanning the centuries and genres, from Renaissance polyphony to bluegrass, and everything in between. The annual Hancock Family Christmas Concert will feature mezzo-soprano Jazimina McNeil, the Junior Minstrels, the Norway Pond Festival Singers, and the Village Ringers. Critically praised for playing with a "sense of discovery and adventure" as they perform and compete across North America and Europe, the Omer Quartet is currently the Resident Ensemble of the New England Conservatory's Professional Quartet Training Program. Tony is the Chopin Piano Concerto's youngest ever laureate, winning the 5th prize at the age of 16. Beautiful, poignant, haunting, and lighthearted songs of the era, presented by baritone David McFerrin (last year's John P. Wintergreen) and soprano Deborah Selig, with Clifton J. Noble, piano. The annual Hancock Family Christmas Concert will feature guest artist mezzo-soprano Jazimina McNeil, the Junior Minstrels, the Norway Pond Festival Singers, and the Village Ringers. Beginning our fourth year of collaboration with the New England Conservatory of Music with this cabaret-style jazz trio's renditions of standards, the Great American Songbook, originals, and tap dance! Come hear our own Junior Mints in their Tanglewood debut with the Boston Symphony Orchestra! Free, but donations greatly appreciated. A Celebration of Jewish Music, featuring renowned mezzo-soprano D’Anna Fortunato performing David Schiff’s monologue opera Vashti or the Whole Megillah, with Paul Green (clarinet) and Doris Stevenson (piano). Join us for a Bistro Dinner immediately following the performance of Joshua Quinn and Nataly Wickham. This will be a multi-course dinner cooked by Chef Mike Petrovick of Francestown. This event will kick off with wine and hors d'oeuvres at the Simpsons'. NEC emerging artists Josh Quinn and Nataly Wickham are "rising stars from the world opera." Norway Pond Festival Singers presents George Gershwin's Of Thee I Sing, a musical lampoon of American politics. 4 pm at the Hancock Meeting House. Tickets are $20. TICKETS ARE NO LONGER AVAILABLE ONLINE AS WE ARE NEARLY SOLD OUT FOR THIS SHOW. THERE MAY BE SOME TICKETS AVAILABLE AT THE DOOR. Antico Moderno presents Stylus Phantasticus: Experimental Music from the 17th and 21st Centuries. $20 at the door (students free), or purchase a season ticket. The annual Hancock Family Christmas Concert will feature Lorraine and Bennett Hammond, folk artists, the Junior Minstrels, the Norway Pond Festival Singers, and the Village Ringers. No charge, but donations gladly accepted.